The genetics involved in the development of RA are complex, but from what researchers know, heritability increases your risk for RA by 60% and a having an HLA gene (one genetic risk factor for RA) increases your risk from 11 to 37%, this according to a 2013 report in Clinical Reviews in Allergy & Immunology. While having a close family member with RA increases your risk, RA is not an inherited disease, your predisposition to it is. An exact link between nicotine and RA is unknown, but researchers confirm prolonged smoking can lead to an increased rheumatoid factor, the main antibody (protein) responsible for the development of RA. The presence of a rheumatoid factor indicates your immune system is not functioning properly. One 2013 study published in Arthritis Research and Therapy finds that even light smoking can increase your risk for RA. Moreover, a woman’s risk is doubled by smoking. If you quit smoking, your chances of developing RA decrease and continue to decrease over time. Smoking is also associated with higher disease activity and quitting can improve symptoms and reduce your risk for complications. The fact more women get RA suggests hormones are at play in the development of the disease. The idea is supported by the idea that RA gets better during pregnancy and worsens following childbirth. 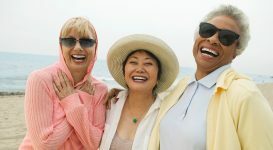 There is also evidence that irregular periods and early menopause may increase a women’s risk of developing RA. 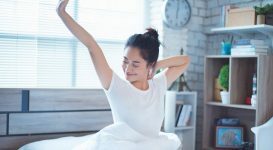 Researchers also think natural hormone fluctuations, hormone medications, and birth control are additional disease triggers. Low testosterone levels in men may also increase the risk for the development of RA later in life, this according to researchers from the Lund University in Sweden. 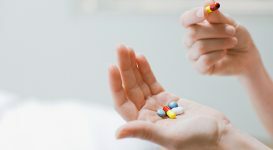 In recent years, researchers have been looking at connections between bacterial and viral infections and development of RA. Many believe specific infections may be linked to RA, including chronic hepatitis C and gingivitis. Moreover, a person’s microbes (good and bad microorganisms located throughout the body) may promote the development of RA. More research is needed to confirm any specific connections between infection, microbes and RA development. The same risk factors for RA also affect the severity of the disease. Doctors access the severity of the disease as mild, moderate or severe. There is little research and clinical evidence on disease severity types and prevalence of severity types. It seems, however, the worst cases of RA are in people who have a progressive and more severe form of the disease. Progressive RA advances and causes persistent inflammation and worsening pain. It requires aggressive treatment and is largely dependent on it the risk factors leading to the development of the disease. Next page: What are the complications of RA? Continue to learn more about what this means for you. RA increases your risk for more serious conditions, including heart disease and stroke. In fact, the risk of cardiac death is up 50% higher for people with RA, compared to the rest of the population. RA patients are also hospitalized at a greater rate than people without RA. One 2013 report from the Mayo Clinic looked at 799 patients with RA and 797 patients without RA in Olmsted County, Minnesota. The patients with RA experienced 2968 hospitalizations while those without it experienced 2069 hospitalizations. The RA patients in the Mayo Clinic study were mostly hospitalized for depression and diabetes at much higher rates than patients who had these conditions, but not RA. There were no differences amongst the sexes, specific age groups, or based on the time of the year. 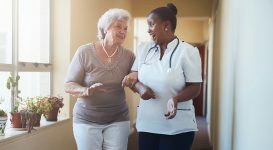 Disease activity appeared to play a role in the higher rates of hospitalization, as people with severe RA tend to have more complications. RA isn’t fatal, but its complications can shorten your life. 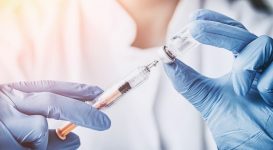 Infection deaths are more common in people with RA at 36%, compared to the 26% of people without RA, this according to researchers from Helsinki University Central Hospital in Finland. Disease progress and severity vary from person to person. 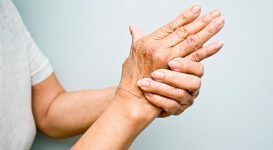 People with specific disease factors will have a more progressive and severe form of RA, while those that do not have these factors will have a mild to moderate form of the disease. Many people are living with RA who are in their 80s and 90s, so having RA doesn’t necessarily mean you won’t have a long life. 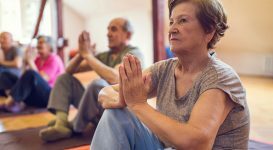 It means you need to work with your doctor to treat RA aggressively and make healthy lifestyle choices (eating well, exercising, avoiding smoking, etc.) to avoid complications that may affect your quality of life or shorten it. Current research data shows drug-free remission from RA ranges from 3.6 to 22 %. Certain factors increase your chances of remission, including having a milder form of the disease, early diagnosis, and aggressive treatment. Men seem to have higher remission rates than women. One study from 2012 reported in Arthritis Care & Research found men have a 38% higher chance of remission than women and can sustain that during the first two years. Currently, there is no cure for RA. There have been many advances in the last 30 years for treating RA, but none of them will cure you. 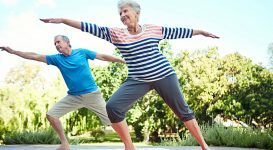 The goal of RA treatment is to lower inflammation, reduce pain, prevent joint damage, slow down the disease and prevent complications. 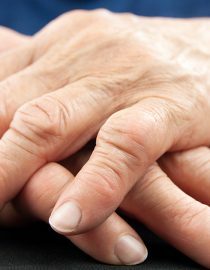 Rheumatoid arthritis facts and statistics are important to understanding how RA works and progresses and apply to groups of people from where these numbers were gathered. They may also be helpful to your doctor in developing a treatment plan. But you and your RA are unique, and these statistics only offer guidance to many possible scenarios and outcomes. They cannot tell you how you will be affected personally by RA and what your health outcomes will be. You can improve your outcomes by practicing healthy habits and adhering to your treatment plan. Successful management of RA will enhance your quality of life, reduce pain and symptoms, and promote better emotional and mental health.